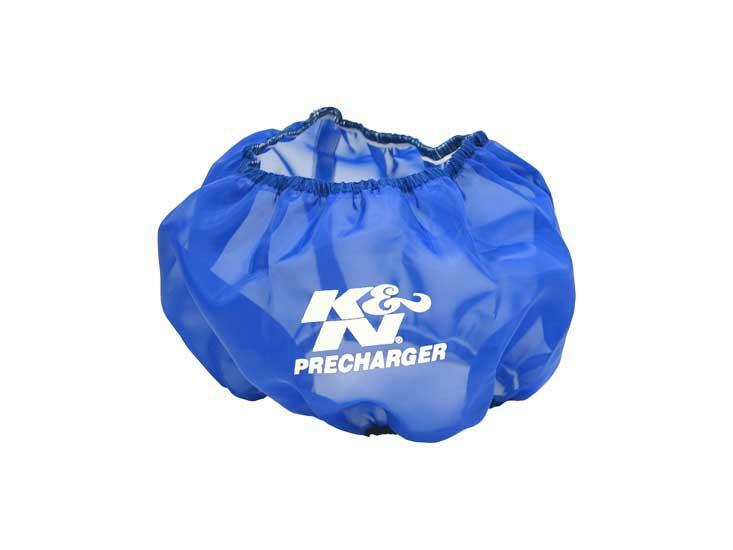 The K&N PreCharger is a specially designed filter wrap made to extend the service interval of your K&N Filtercharger when used in very dusty conditions. They are made from durable polyester material containing a uniform weave. The PreCharger will stop small dirt particles with minimal restriction to the airflow of the filter. The PreCharger is designed to be run dry and can be cleaned with K&N Filter Cleaner. The PreCharger is custom made to fit each application. Double stitched elastic openings assure that the PreCharger will stay in place. The PreChargers are available in a variety of colors, all with a silk-screened K&N PreCharger logo. 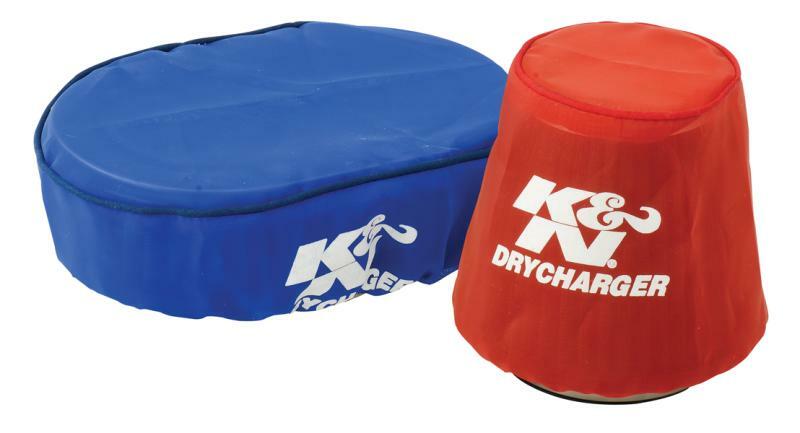 The Drycharger is a silicone treated, polyester wrap that is made to cover your K&N Personal Watercraft Flame Arrestor. These Drychargers, which are similar to the K&N Prechargers, contain uniform micron sized openings that allow optimum air flow. Yet, due to the Drychargers silicone treated polyester wrap, the amount of water that reaches the flame arrestor is limited. The Drycharger uses a sewn in elastic opening to securely fasten it to the flame arrestor. Now you won’t be hung out to dry after submerging your PWC. The prefilter answer to all the snow that wants to pack down into the pleats of your snowmobile air filter. SnowChargers are silicone-treated polyester wraps that repel snow and water. Melting snow just beads off instead of soaking the filters. SnowChargers also deflect all the grass, twigs, rocks and dust you encounter when grass track racing or crossing snowless trails. SnowChargers offer minimum restriction yet allow optimum airflow. SnowChargers are easy to clean and return to service. The K&N Airforce Pre-Cleaner is a specially designed foam filter wrap made to extend the service interval of your K&N Filtercharger when used in very dusty conditions. They are made from large, open cell foam. The Airforce Pre-Cleaner will stop 90% of the dirt, yet only add a 2% restriction to the airflow of the filter. This makes foam a great pre-filter. The Airforce Pre-Cleaner is designed to be used with K&N Filter Oil and must be cleaned with K&N Cleaner or soap & water. The Airforce Pre-Cleaner is custom made to fit each application, and there are four universal cut-to-fit sizes available.